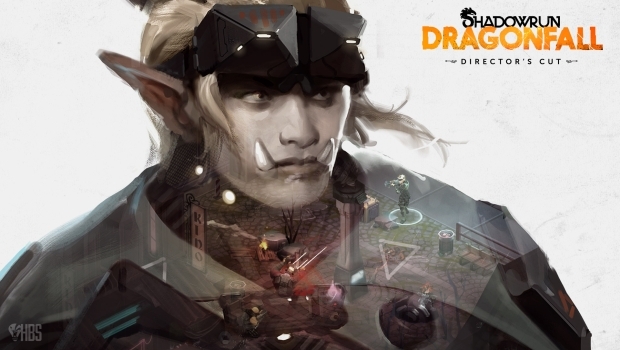 Shadowrun Dragonfall – Director’s Cut — a game made better by touch controls? There’s something about touchscreen games that just doesn’t work well for me. Whether it’s my hands being in the way of the action, or fighting with on-screen controls, I generally shy away from touchscreen games entirely. However, when Shadowrun Returns came out, I picked it up for my Android tablet and it made a believer out of me. Since then we’ve seen a release of Shadowrun Dragonfall – the first expansion to Shadowrun Returns. We have already reviewed the game (you can read our review here), but when the opportunity to check it out on my tablet appeared I was excited to once again take this fantastic RPG mobile. Shadowrun: Dragonfall – Director’s Cut was a big standalone step up from its predecessor. More fleshed out characters, a few combat tweaks, and greater control over your teammates combined with a cleaner interface to raise the whole experience. But if there is one experience that is a must-have for a healthy mobile experience, it’s the save-anytime option. Thankfully, that feature was already introduced on the PC version of Director’s Cut, and it naturally made its way to the Android platform. Tactical combat and touch screens work remarkably well together. To check out the mobile version of Dragonfall, I naturally loaded it up on my Transformer Infinity Android tablet. It has more than enough power to handle the Unity-powered title. Loading quickly and looking gorgeous, the game never taxed the system. But what about my Nexus 5? It turns out that the Nexus 5 phone from Google is more than capable of handling Dragonfall as well. Certainly it loads a little slower, but it handles the game remarkably well, thanks to a scaling setting in the options. It also tackles it without a framerate hitch, though it will make your battery whimper. The redesigned UI again shows its strength on the mobile platforms. The streamlined action bar serves the platform well, keeping your hands on the edges more often than in the center, allowing you to enjoy the story without as much obstruction. The aforementioned scaling button once again makes the game more accessible whether you are playing the game on a large tablet, or a smaller Android-powered eReader. Matt mentioned that he felt a bit of imprecision when selecting objects in the environment when using a mouse, so you can imagine that this issue persists when you move from a precision peripheral to fingertips, and you’d be right. Thankfully, as the game is turn-based, most of the time it’s just a minor nuisance — except when it comes to cover. When each step can mean the difference between partial cover and standing out in the wide open spaces, a misclick can create a little more risk on the battlefield than intended. If there is one thing that does make me sad, though it is no fault of the game or the studio, is that (at the time of this review) the game is unavailable on my Amazon Kindle Fire HD. The 8.9” high-resolution screen and fast processor would make it a great platform for the game. Ultimately I’ll end up rooting the Fire so I can pull the game across from the otherwise-inaccessible Google Play store. This is one of those times where competition is a bad thing for the consumer. Take this one on the go with you, chummer. When Victor reviewed Shadowrun Returns on the iOS platform, he lamented the lack of music in the mobile version. Harebrained wasn’t about to make that same mistake twice — you’ll find the music intact, present, and accounted for here. As you can read in our previous reviews of the game, Harebrained Schemes has really upped their game with Shadowrun: Dragonfall - Director’s Cut, creating a memorable and compelling RPG. It’s hard to believe I’m going to say this, but it’s somehow made better by making it both portable and touch-enabled. Who knew?